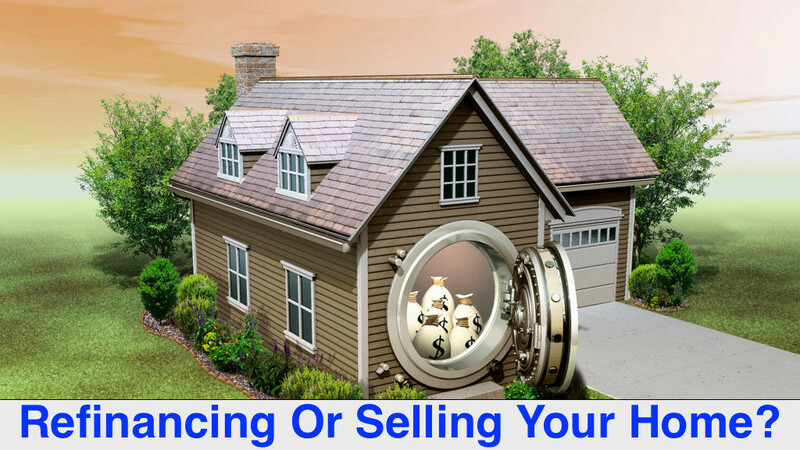 Refinancing or selling your home; which option should you pick? This is a brief description of both choices. It compares them and highlights the options open to homeowners and investor when considering to refinance or sell home or investment property. Refinancing as the name implies is the process of exchanging loans or transferring the debt to a separate lender. With refinancing, you will be able to remain in your present location and save yourself the hassle of moving into a different area. This can be beneficial if there is a powerful neighborhood bond between you and your neighbors. Also in a situation where you have relatives around, or you desire to remain close to a particular school, place of worship or community. Are you thinking of refinancing or rather moving into a different location? The choice is yours. Thus, if you have made a decision to refinance, it is imperative to have had it at heart that refinancing starts a new period for a particular loan. For instance, assuming you refinance on a thirty-year loan, the thirty years commence again at that period which you’d refinance. The good aspect of this is that your house might have expanded appropriately in value during that particular period you keep on paying to enable a cash-out refinancing (you can use the cash for other things you would desire to have). Also, if you are willing and able to refinance into a right mortgage level other than your present rate, then refinancing would be a perfect idea to embark on. If this is your choice, be very conscious when taking an adjustable mortgage rate that could increase to an unbelievable payment load along the line. However, if your intention for refinancing is to prevent foreclosure, it may be wise to search around for the perfect lender who will be able to allot you the best rate and give you space while you reconsider your conditions. Refinance Or Sell Home is an important decision so keep on reading to make the best decision! Selling, on the other hand, entails the moving of goods or rendering of services in exchange for money. For instance, your kids have moved out of the house, and you are looking downsize, or you have been given an excellent job opportunity in a different state or city? Have there been changes in your job since you relocated to your present location? Is traveling or movement very stressful? There are several reasons a move might be of importance personally and professionally for you apart from your mortgage payment. If this is the situation, (and the movement has been beneficial by reducing your monthly expenditures) relocating or moving might be the best option to take. Most people are fond of not looking for a seller before their foreclosure date. If you are having the thought of selling due to an imminent foreclosure, or been in financial distress situation try as much as possible to find House Buyers ahead of the date. With this, you can pay off your debt and prevent such process.